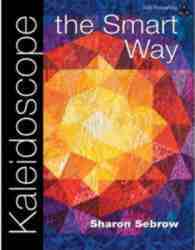 Kaleidoscope the Smart Way offers a new and simpler way to achieve the complex traditional Kaleidoscope Block. 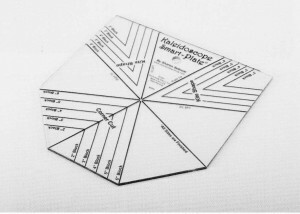 Use the Kaleidoscope Smart-Plate to easily trim simple beginner blocks. Make traditional Kaleidoscope blocks, fun tilted blocks and more! JUST RELEASED! GET YOUR COPY TODAY! 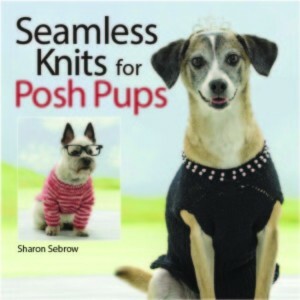 Seamless Knits for Posh Pups offers 14 different styles of dog sweaters. Each made seamlessly. No more needing to seam up different pieces and hope they match and fit. Top-down or bottom-up, either way, your pup will look fantastic! From Martingale, features Seamless Knit for Posh Pups. Can you please tell me if Round 1 on the larger needles for the Waldo pattern should read at the end of that round: (2 inc chest, 2 inc back) rather than the 1 inc back I am seeing on this pattern. I can see 2 x M1L and 2 x M1R on this row, so it would seem to me that there should be 4 increases in total. Thank you for noticing that! You are absolutely correct. When you brought this to my attention, I immediately checked my originals before printing, because, let’s face it, that is a pretty silly mistake to make. Oddly, my original files were correct, so this must have been a last-minute editing mistake. Either way, I’ll be making a note of this correction. All the best and I hope you enjoy (the rest of) my book. I love your dog sweater pattern. (Seamless Knits for Posh Pups) I’ve knit about ten of them. All the neighbor dogs are wearing them. Some in SeaHawk colors. I do have a question. Not being a sophisticated knitter, there may be an easier way..after finishing the chest section and cutting the yarn. I slip those stitches across onto the right needle to the second marker and add the new piece of yarn and continue knitting the back in stockinette st.
Is that the best way to do this?